The first book of the pioneering trilogy, The Sirian Revelations, The Cosmos of Soul offers a bracing tonic to the shadow of war, disease, and other grim phenomena of contemporary life. The solution, according to noted clairvoyant Patricia Cori, is to awaken into the richer, more meaningful, and empowered existence that is our true fate. Through her psychic contacts with more evolved beings, Cori offers timely insights into the ethics of cloning, the dangers of the Internet, the truth about the AIDS virus, genetic engineering, and other information. Of special interest are the author’s predictions of what to expect after 2012, the closing of the Mayan Calendar—a time of galactic events that may change life forever. The Sirian Revelations series are channeled teachings from the Speakers of the Sirian High Council, sixth-dimensional beings dedicated to the transformation of human consciousness. Patricia Cori has been Scribe to the Speakers since 1997. Also by Patricia Cori are Atlantis Rising, No More Secrets, No More Lies, and The Starseed Dialogues. The first of the pioneering trilogy, The Sirian Revelations, offers cosmic wisdom to help humankind realize its highest potential. The Cosmos of Soul offers a bracing tonic to the shadow of war, disease, and other grim phenomena of contemporary life. The solution, according to noted clairvoyant Patricia Cori, is to awaken into the richer, more meaningful, and empowered existence that is our true fate. Through her psychic contacts with more evolved beings, Cori offers timely insights into the ethics of cloning, the dangers of the Internet, the truth about the AIDS virus, genetic engineering, and other information. Of special interest are the authors predictions of what to expect after 2012, the closing of the Mayan Calendara time of galactic events that may change life forever.The first of the pioneering trilogy, "The Sirian Revelations," offers cosmic wisdom to help humankind realize its highest potential." 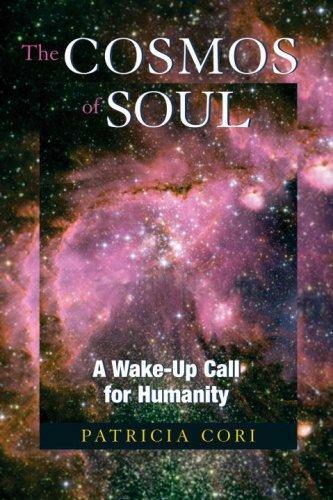 "The Cosmos of Soul" offers a bracing tonic to the shadow of war, disease, and other grim phenomena of contemporary life. The solution, according to noted clairvoyant Patricia Cori, is to awaken into the richer, more meaningful, and empowered existence that is our true fate. Through her psychic contacts with more evolved beings, Cori offers timely insights into the ethics of cloning, the dangers of the Internet, the truth about the AIDS virus, genetic engineering, and other information. Of special interest are the author's predictions of what to expect after 2012, the closing of the Mayan Calendar--a time of galactic events that may change life forever.